This week’s social media DOs and DON’Ts: marketing buzz, social media KPIs, social media measurement ROI, Twitter success metrics, best web analytics, luxury brand, reputation, brand management, and other happenings we came across while surfing the internet, blogging and posting on Facebook, Identi.ca, Naijapulse, Google Buzz, or Twitter. Our focus includes Google going at it again, luxury brands trying China on for size, the World Economic Forum’s new cross-media campaign, Ferrari’s forced recall and other heavyweight brands’ trials and tribulations. Enter your email address to receive live blog updates in your mailbox… You’ll be glad you did. 8:30 Uhr in German, 16:00 hours CEST (7:00 hours PST) in English. I found a great graphic showing Google’s various acquisitions the last few years for various reasons, from eliminating market competition to expanding its revenue stream. At the heart of any online social network (OSN) is staying in touch with friends, family and business associates, as well as clients. Last week I mentioned Google’s release of an application allowing users to call landline phones from Google Mail (Gmail), thanks to its acquisition of Gizmo5. What is so great about a phone service? Over 90 percent of users in most countries check their email at least once every workday. Gmail now gives you the opportunity to use Google Buzz, place phone calls, and chat using Google Talk, with much more to come, I am sure. Gmail is a great way to get people to log in to Google on a daily basis. More importantly, the added services such as using Google Docs for word processing or checking your blog’s Google Analytics encourages people to stay logged on throughout the day. This allows Google to gain valuable insights into user behavior that in turn help ‘personalize’ various services, including search and advertising. The end result should keep the gravy train running for Google. If everything works as intended, Google is off to a good start for offering users a real and competitive alternative to Facebook. A recent study reveals that internet users in Brazil, Russia, India, China, and Indonesia (the so-called BRICI countries) account for one third of the world’s internet population. – At 400 million, China‘s internet population is the largest. Primary usage is for instant messaging, online music, video and games. – Half of India‘s internet connections are dial-up, so most people log on for a short time to check email, and visit necessary websites. – Brazil and Russia‘s users focus on search and email. The report also points out that the importance of the cost and availability of broadband connections and third-generation mobile services. 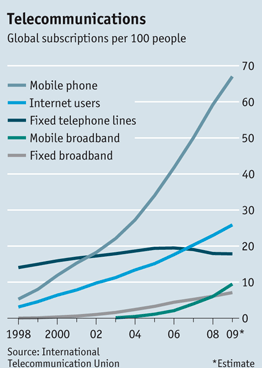 BRICI countries currently account for 610 million Internet users, and a staggering 1.8 billion mobile-phone connections. 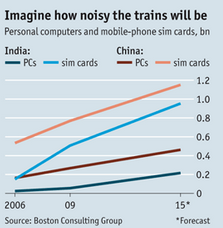 The report predicts that by 2015, their 1.2 billion users will dwarf the US and Japan. 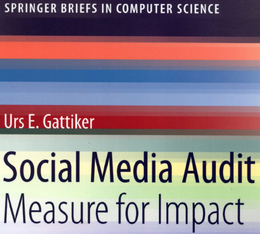 Note: While some claim that Brazil’s advertising market is similar to the US, making the country an interesting target, social networks are a different story. While Brazil has many Orkut users (Google’s social network), Facebook dominates the US. Comments: What is your take on this? Please share your thoughts below. 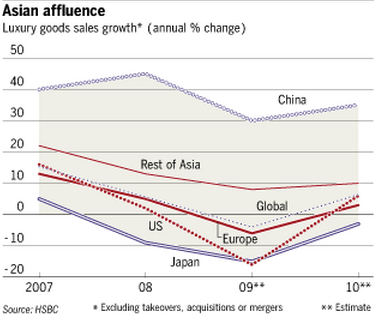 Asian affluence has resulted in brands growing increasingly dependent on their Chinese sales numbers to make ends meet. As the chart shows, growth rates are still much higher in China than anywhere else and continue to be near 35 percent per year. More and more luxury brands are trying to move their manufacturing to China, which still boasts 30 percent lower costs than India. Some suggest that fashion’s center of gravity is continuing to shift east, in manufacturing as well as consumer terms. Will consumers go for Made in Asia? Is there still a negative connotation or have perceptions improved? What do YOU think? 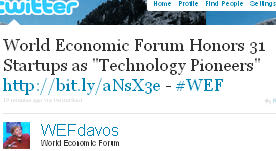 This week I came across an advertising campaign announcing the World Economic Forum’s Technology Pioneers. What makes it interesting is that it illustrates another cross-media campaign and plenty of money was spent on full-page print ads, among other things (see right). 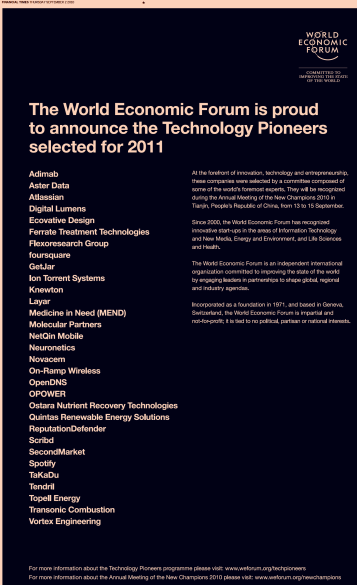 Congratulations to the Tech Pioneers 2011! It surely succeeded in getting some blogger-news destinations, such as ReadWriteWeb, to create big write-ups about these companies. But was this campaign successful? Your guess is as good as mine. For me, naming 31 companies tech pioneers raises several issues, such as the selection process. Given some of the companies on the list, it is clear that one must carefully define what a pioneer is or not. For instance, offering customized training online is cute, but is it pioneering? Allowing people to download white papers on one website is great, but others do the same; what makes one a pioneer and the other not? Important questions to which we should get answers before accepting such a list. Having to recall all 1,248 of the 458 Italia model (€197,000 in Italy, including taxes), Ferrari (a division of Italy’s Fiat group) is red-faced. The car, produced up until early August, was recalled after five (two in China and one each in California, Paris and Switzerland) caught fire. Apparently, glue had been applied incorrectly, resulting in leakage onto the exhaust. Metal fasteners will be used instead of glue on the cars that were assembled incorrectly. 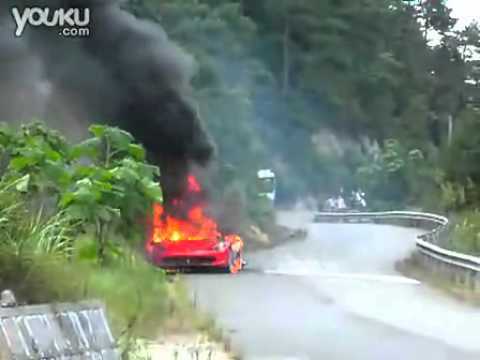 Pictures and video posted to the internet forced Ferrari to take action in order to protect its brand. How much damage will this do? Remember Toyota. Thought? Questions? Comments? Please let us know in the comments! 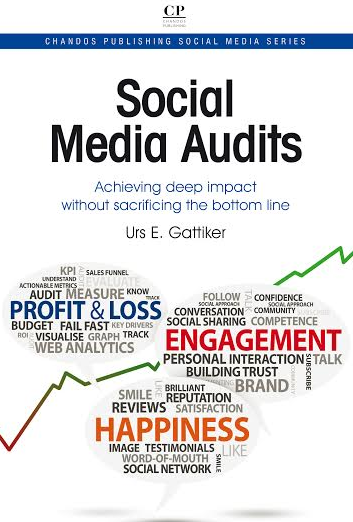 @luefkensnnThanks so much for responding to my blog post’s title regarding the cliff-hanger ‘WEF blunder’nnI appreciate your feedback very much.nI also agree that it is not outright clear if this WEF compaign was a blunder or if it should be classified as a success story. nnHowever, if you read my blog post it is clear that I was focusing on the cross-media campaign issue.nIn particular, I wondered how one can decide if a cross-media campaign succeeded or not.nnFor starters, I use the WEF Tech Pioneer awards as an example of a cross-media campaign.nSecond, the question for me was more if an organisation that states that it is “… impartial and not-for-profit…” should spend the amount of money that was apparently being spent using classical advertising channels (e.g., one-page ad published and paid for in the Fiancial Times and other outlets).nnIn some way you confirm my concerns by listing the links illustrating how much coverage this award got online and off-line. Impressive.nThis also indicates that in contrast to other organisations, WEF knows how to work with the media to get its message across. Congratulations, job well done.nNevertheless, was the ad money spent needed to push the campaigns message? Nobody would suggest that without the paid-for advertising WEF would not have managed to get into those illustrous publications, would one?nnAnother issue I raise is that in all the material I read about the Tech Pioneer companies, I did not find information spelling out succinctly the criteria that was used to select this illustrous group of companies.nWhat makes a company a pioneer for WEF and what not?nnMr. Luefkens, thanks again for sharing your insights.